St Anton is known as one of the best ski resorts in the world. It offers superb skiing, excellent aprés ski and plenty to keep the whole family occupied. There is a range of St Anton resort services that you can take advantage of on your next ski holiday. Whether you’ve never before stepped foot on the slopes or you’re looking for a refresher course, there are some great ski schools in St Anton. Ski schools cater for all levels of skiers and snowboarders. You can improve your style and learn to ski cross-country, heliski or carve like a pro. Of course, if it is your first time skiing or boarding, the instructors are here to teach you everything you need to know to enjoy your ski holiday. Group lessons are a great way to make new friends and to help reduce the cost, however one-to-one tuition is much more intensive and you might learn quicker. A few private lessons could be ideal if you’re just starting out or if you want a quick brush up before heading out on your own. Take a look at a list of the best of our favourite ski schools in St Anton, catering for groups, private, piste and back country. If you’re travelling with children, you might be considering your childcare options. The two largest ski schools, Ski Schule Am Arlberg and Ski Schule St Anton, offer kindergarten from the age of 2 and a half and lessons from age 3 at Arlberg and age 5 at St Anton. You’re little ones will be whizzing across the slopes in no time! Once ski school is over, or if your youngsters get tired out, there are other childcare options in St Anton. There are fully-trained nannies available in resort to look after your children and keep them entertained if you want to spend longer on the slopes. You can also book a nanny to babysit in the evening if you want to go out for dinner. See our recommended childcare service in St Anton. When staying in St Anton for your ski holiday, the lift pass on offer is the Arlberg Ski Pass, which covers a vast terrain with more than enough slopes to keep you occupied for much longer than your week long holiday. There are reductions available for children, teenagers and seniors, but you will need to provide some ID as proof of age. The Arlberg Card lift pass contains an electronic chip that registers when you walk through the gates so there is no need to fumble about in your pocket to find your pass. Find lift pass prices in St Anton. Unless you’ve got your own, you’ll need to hire ski or boarding equipment on arrival in St Anton. There’s no need to pre-book, simply turn up at one of the many equipment hire shops and they’ll kit you out with everything you need. 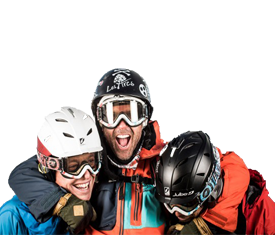 The ski rental shops offer equipment hire for all levels of skier and boarder. One of the best things about renting is that you can try out the latest equipment each year. You can also try different shape and length skis during your holiday. Take a look at the equipment hire here, for a list of some of the rental shops in St Anton.